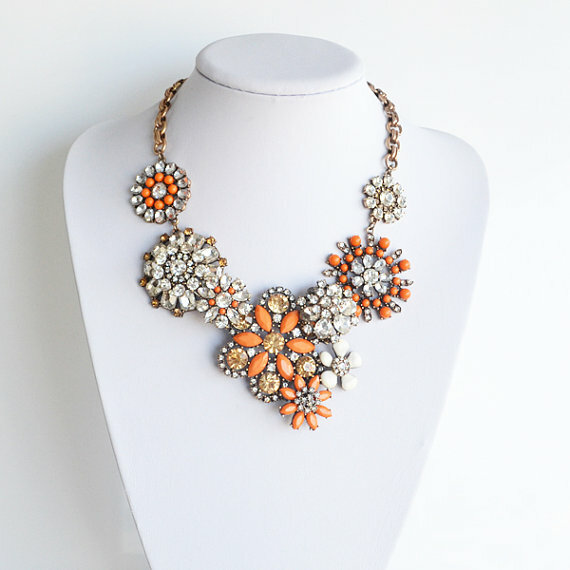 Statement necklaces are still on trend, and we love a gorgeous and "hello, look at me!" 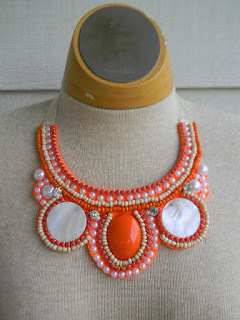 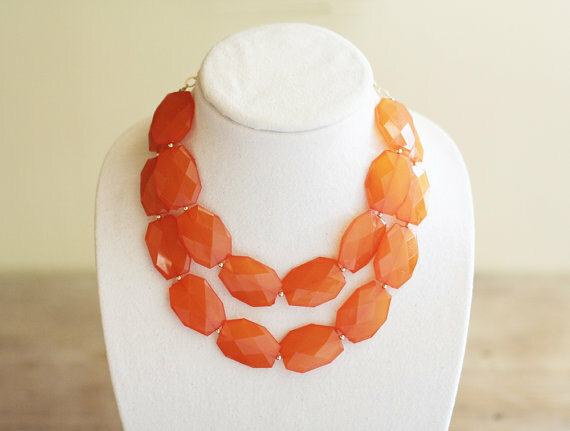 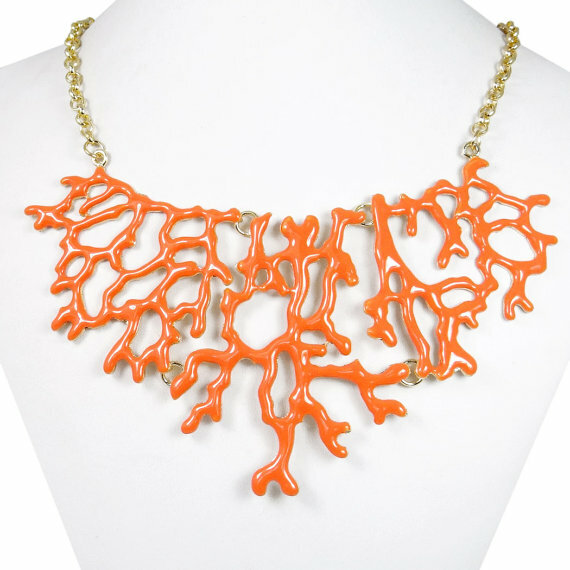 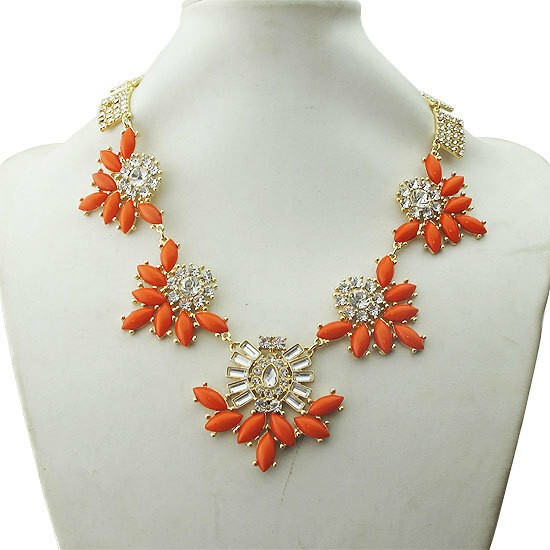 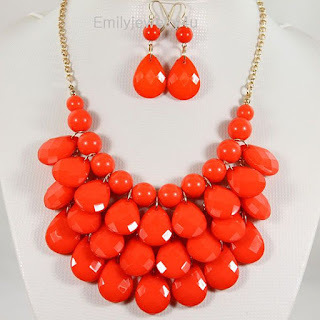 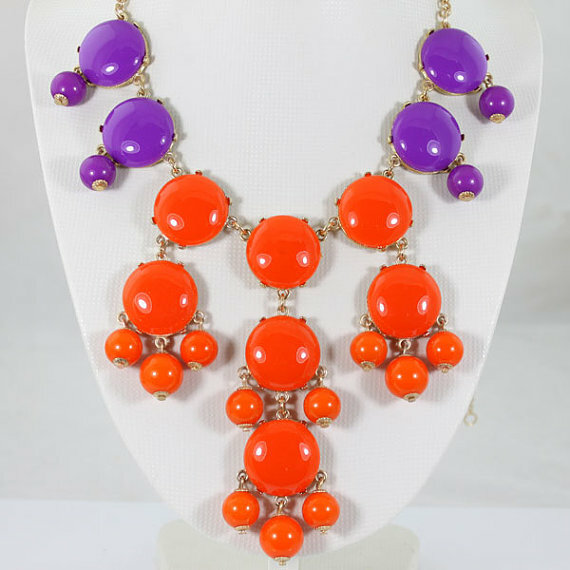 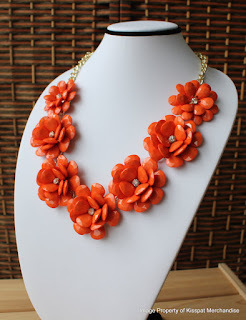 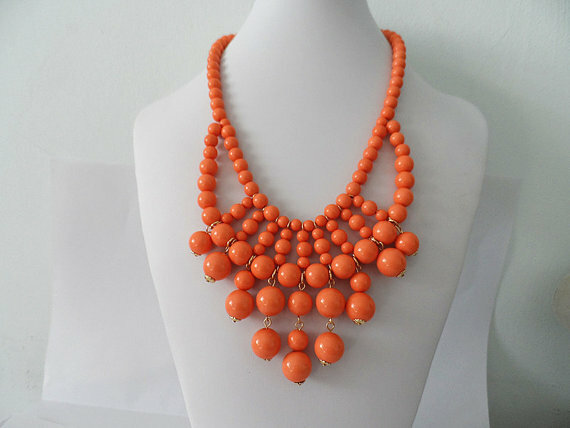 necklace paired with a Clemson gameday outfit. 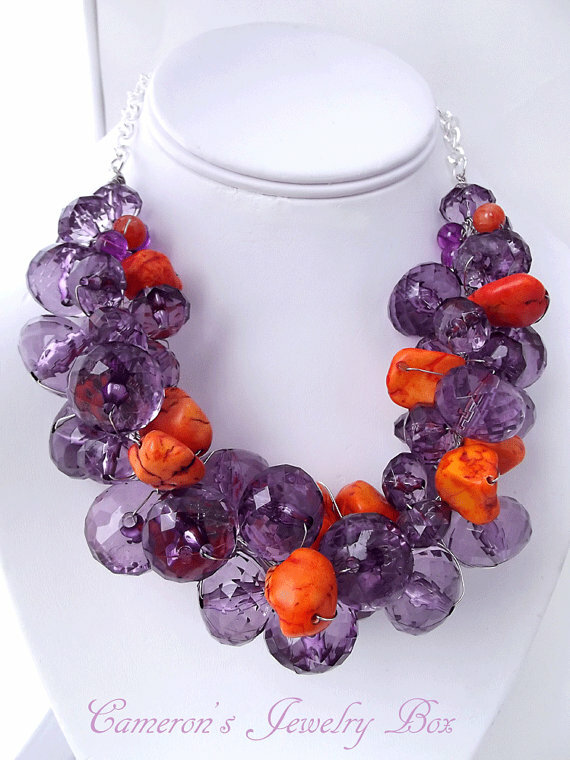 Check out our top 10 fave statement orange and purple necklace styles of the 'moment'... all of these are available on Etsy, and at super steal prices!